Greg interviews Tom Stuber, president and CEO of LCADA Way Wellness and Recovery. Tom reviews the treatment records of Greg’s son Sam and talks about the process of relapse. Greg clarifies that this review is not for the purpose of blaming anyone, but rather to uncover any information that may help other families with a loved one who is addicted. Tom points out the need for a comprehensive treatment journey across multiple treatment facilities. “The difficulty is that when Sam went into the program in Florida, there was really no connection back to the program that he had at IBH,” Tom says. Thomas Stuber has over 35 years of leadership experience in the healthcare field. 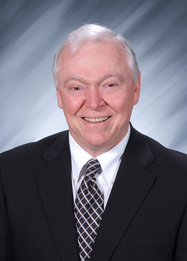 Since 1999, he has served as the President and CEO of Lorain County Alcohol and Drug Abuse Services, Inc. (The LCADA Way). LCADA Way now has 10 sites, 40 clinical programs, and a staff of 110. Mr. Stuber holds degrees from Ashland University, Wright State University, and Kent State University. He also received 3 years of postgraduate training at the Gestalt Institute of Cleveland. Mr. Stuber is a leader in the fight against opioid abuse in Ohio.